26 Mart 2019 Salı 15:01 - 1 reads. 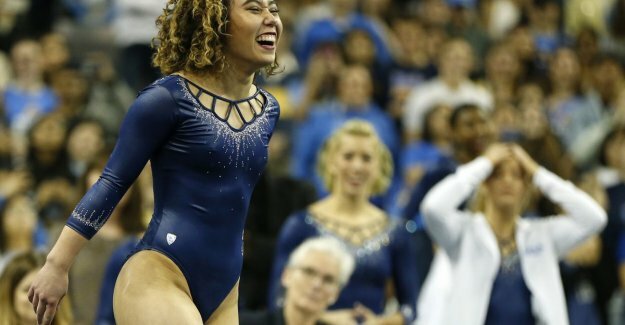 Gymnastics Katelyn Ohashi, already one of the hottest sports stars of 2019, became known worldwide because of her floor exercises to the music of Michael Jackson. But after seeing the documentary ‘Leaving Neverland’ decided the American turnsensatie (21) the ‘King of Pop’ to delete from her choreography and replaced by Beyoncé. The result remains the same: a perfect 10. Her sixth of the year already. “My exercise should be synonymous with pure joy,” said Ohashi in ESPN about her changed taste in music. “But after seeing the documentary, it was clear that not everyone still has that feeling. And someone's feelings you should never ignore.” Ohashi can know: recently, she told for The Player's Tribune yet candidly how they themselves long suffered from bodyshaming.